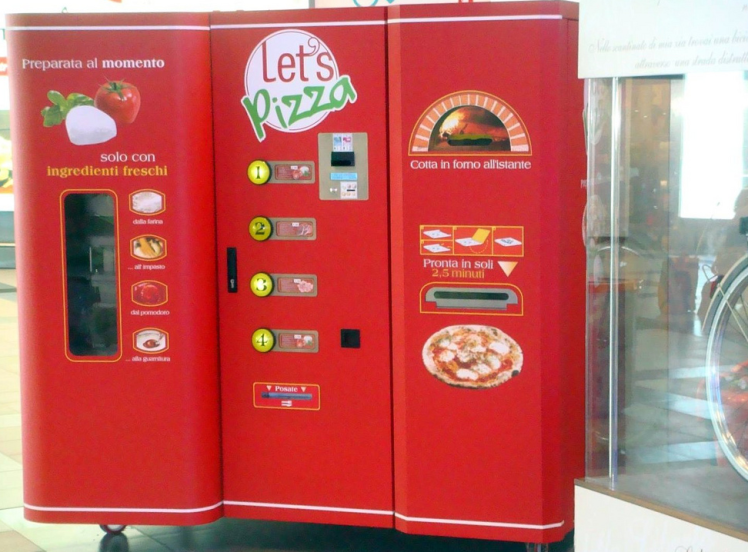 Firstly, it was introduced by Claudio Torghele, in Rovereto, Italy, the ‘Let’s Pizza’ vending machine spread very soon across Europe. For only $6 customers could have freshly prepared, 10.5-inch hot pizzas anytime in 24 hours. It only takes 3 minutes to make pizza. It approximately delivers 100 pizza without needing to be restored. 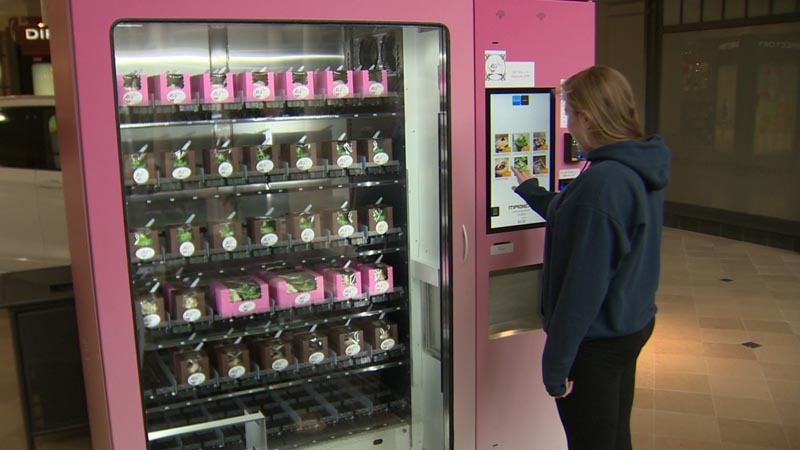 The machine offers a wide range of toppings also, and this machine even has a window from which customers can see the making. 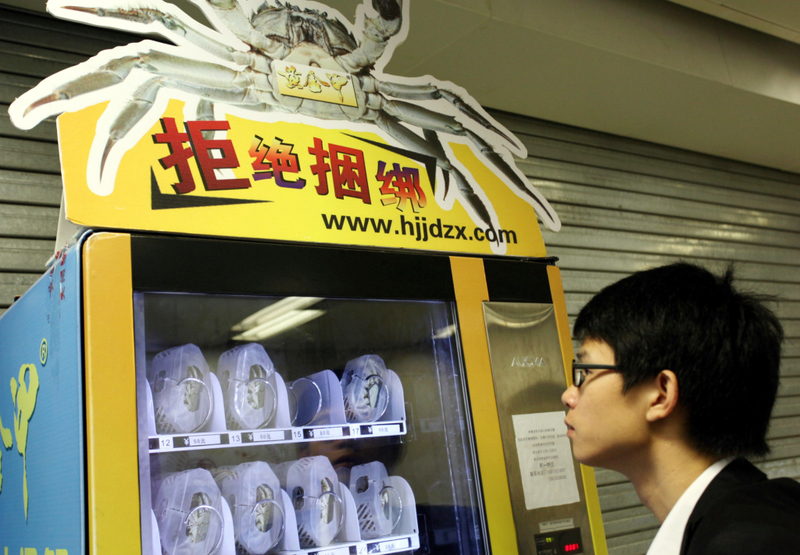 In Nanjing, China, there is a vending machine which operated at -41 degree Celsius temperature to keep its product fresh. This machine vendors living crabs. Also, if you find a crab dead, you can call the company and company compensated with three extra crabs for the inconvenience caused. 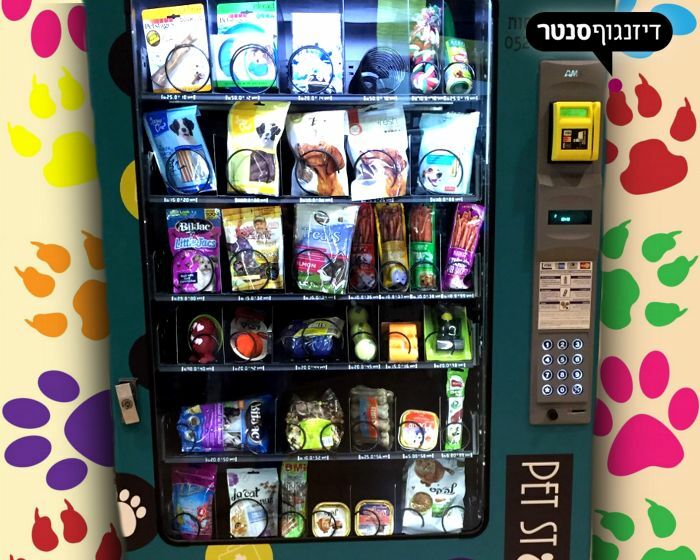 In Singapore, a 7 Eleven shop, have a very uncommon vending machine. 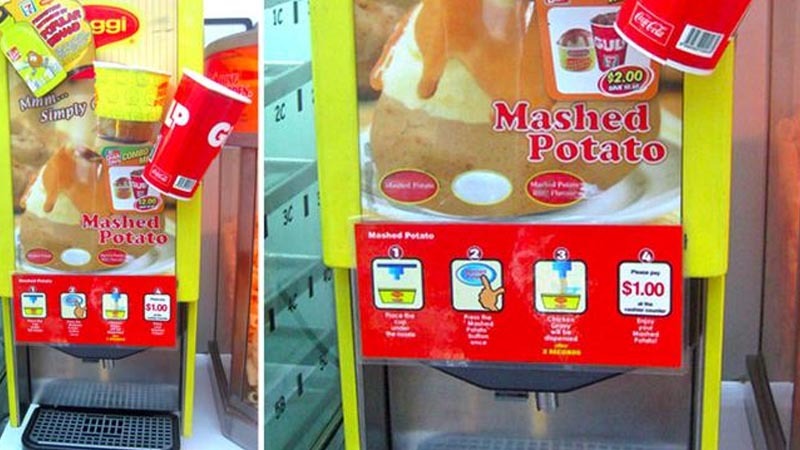 Along with having coffee machines, drinks machines it also has mashed potato machines. Potato mix powder with hot water, deliver a hot cup of mashed potato. It even has a Barbecue option. Moreover, $1 is the charge per delivery. Sprinkles Cupcakes is a cupcake bakery in Beverly Hills, California. They provide very delicious cupcakes. The shop is around since 2005, but in 2012 they did something different. 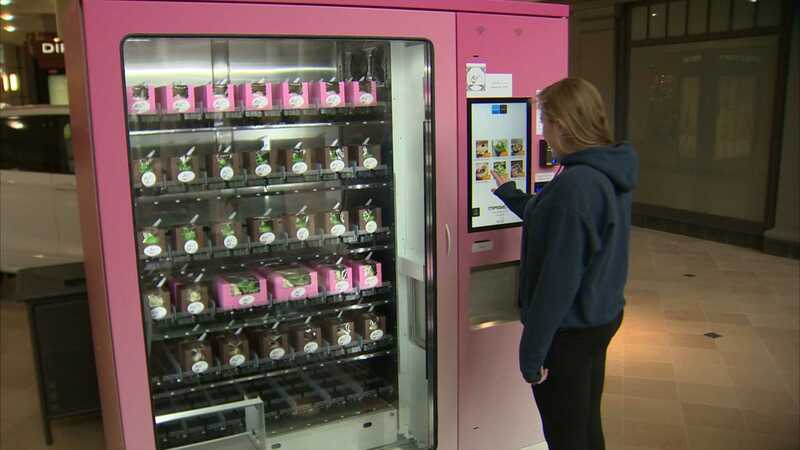 They have created the world’s first cupcake ATM, which dispenses freshly baked cupcakes. It can hold up to 600 cupcakes at a time. They even dispatched doggy cupcakes for your pet dog. 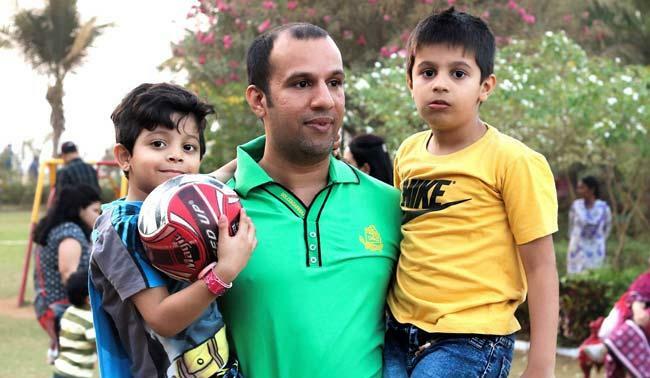 They are currently in four cities, but sooner they will expand. 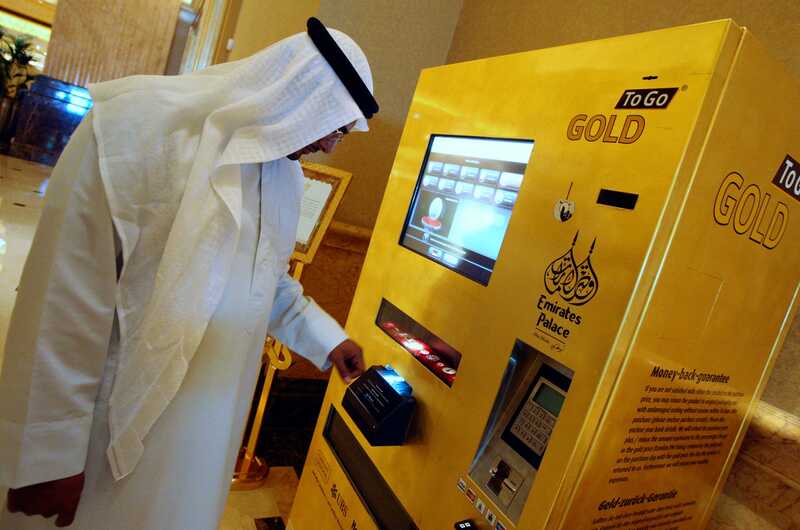 First introduced in Abu Dhabi, ‘Gold to go’ ATMs have popped up in Switzerland, Austria, Germany, Great Britain, The US, and Dubai. 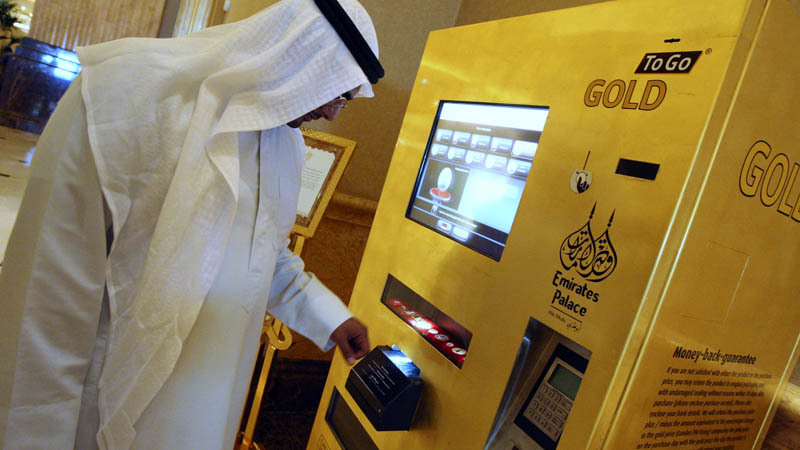 This machine dispenses items made of pure gold, including customized gold coins, and 10g gold bars along with along with over 300 other items. 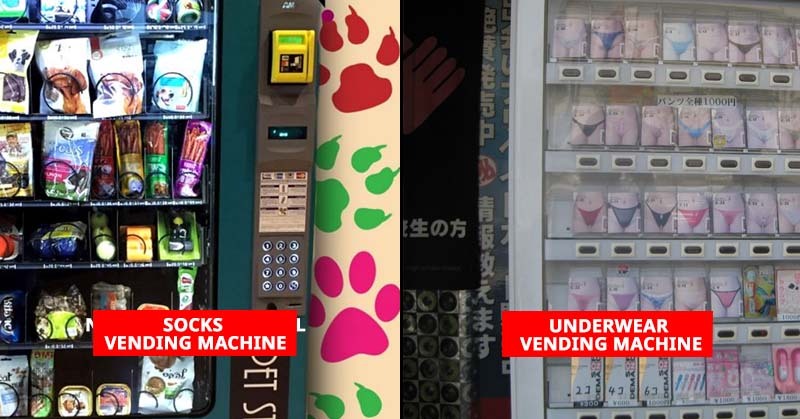 Machines are equipped with a surveillance camera and are made up of the same material as armored trucks. 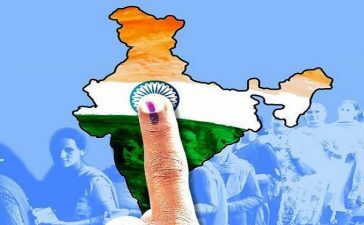 There is also a limited amount of transaction per day to prevent money laundering. As buyers must scan their id’s for any transaction exceeding 100 Euros.